Join us on a guided Naturalist kayak trip on May 11th from 10am to about 3pm for a great day on the water. We will be launching from the Tomales Bay Resort and Marina, Great trip for beginners and those interested in coastal ecology. Please bring water and lunch with you. Stable closed deck tandems kayaks will be used. Don't forget to bring cash to tip our guides! Welcome to the Rainbow Sierrans’ Memorial Day camping trip! We are excited to offer you an adventure that includes sleeping under the world’s largest trees. Calaveras State Park is home to the massive Giant Sequoias. They are native only to the western slope of our Sierra Nevada mountains. You will be camping among two groves of these magnificent trees. Calaveras Big Trees campgrounds might be the most beautiful you’ve ever stayed in. Imagine camping amongst thousand year old giant sequoia trees in a cool, High Sierra campsite located at a 4,000-ft elevation. The scenery is gorgeous, the giant sequoias spectacular, the fragrance of pines and incense cedars glorious, and the wildlife abundant. 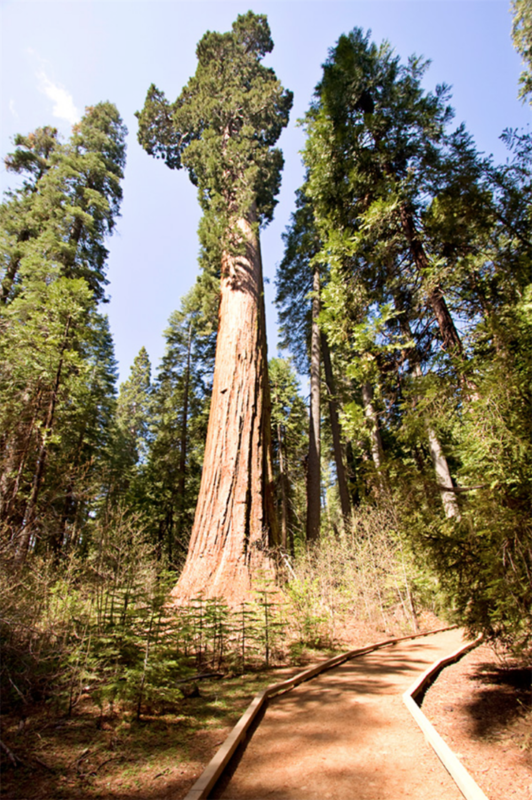 In addition, camping at Big Trees gives you access to over 6,400 acres of forest, the Stanislaus River and Beaver Creek, two groves of giant sequoias, a visitors center and museum.In addition to exploring the popular Giant Sequoia groves (forest bathing anyone? 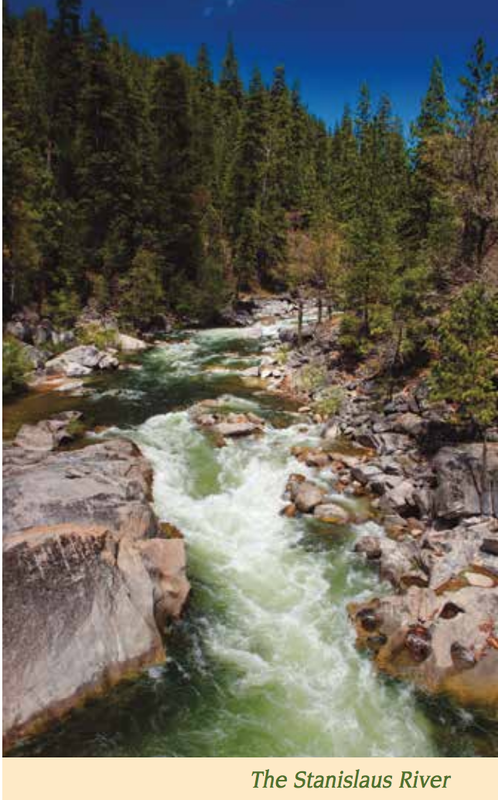 ), the park features a variety hikes and attractions including the Stanislaus River and lava formations. A bit further afield you have access to the high Sierra with many hiking options including the Pacific Crest Trail. Depending on weather we might encounter snow still at the higher elevations and beautiful wildflower displays at lower elevations. So come and enjoy the camaraderie of your fellow Rainbow Sierrans. There is sure to be good food (potluck! ), great hikes and some lively evenings around the campfire. Fine Print: Please read the following information to make sure this trip is right for you before registering. Cost: $60 per person for Rainbow Sierrans members; Nonmembers can register after joining Rainbow Sierrans. Registration is limited to 35 participants, each participant must register separately. Pets: No pets are allowed. Even emotional support or therapy animals are not permitted. If in doubt, contact leader before signing up. Campground amenities: North Grove Upper Group Campsite includes picnic tables, bear-proof food lockers, metal fire pit with grill and a water spigot. Flush toilets and pay showers are nearby. Medical Information: We will be asking for medical information during registration. This allows the trip leaders to be informed of the medical conditions you may have prior to an unexpected crisis. This information is kept confidential. Join us for a amazing camping and hiking experience on Santa Cruz Island, with an optional unique sea cave kayaking opportunity! Campsite and ferry is included in the registration cost. Sea cave kayaking is an additional cost. Fantastic ocean views and great beach time is practically guaranteed at Santa Cruz Island. 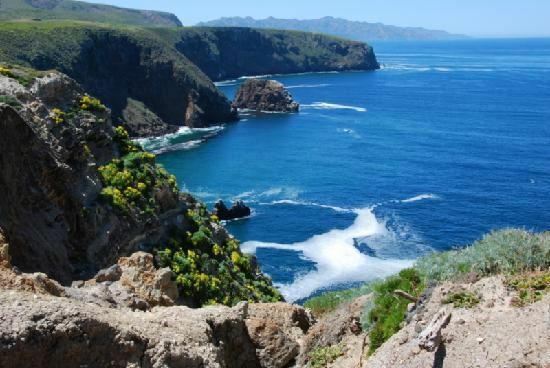 The largest of the Channel Islands, Santa Cruz Island is one of the five islands that make up the National Park. The island is rich in cultural history, magnificent landscapes and unique flora and fauna. Over 600 plant species, 140 land birds, 11 land mammals and a handful of amphibians and reptiles call the island their home. The island fox and island scrub-jay are exciting finds, as they are unique to the island. Please read all the information to make sure this trip is right for you before registering. Please read the cancellation policy below before registering. This camp site offers picnic tables, potable water and pit toilets. No trash can is available on the island, you must pack out your own garbage. Campfires are not allowed, only enclosed camp stoves are allowed. Approximate distance to our campground from the pier is just under a mile. The trip leader is Beth Bittle. Cost for camping and ferry: $100 per person for Rainbow Sierrans members. $125 Non-members. Non-members can also become a member before regeistering for $20. Registration is limited to 25 participants. Sea Cave Kayaking info: We will spend around 3 hours kayaking. This trip is fine for beginning kayakers. We will spend our time exploring the sea caves around Scorpion Anchorage on Santa Cruz Island. No other park offers as many sea cave kayaking opportunities. Some of the most beautiful sea caves in the world can be found in this area! Pets: No pets are allowed. Service animal must get a permit from the park superintendent and send a copy of that permit to the leader before registering. -As with any Rainbow Sierrans outing, acceptance of any individual on a trip will be at the discretion of the particular Leader for that trip. -All Campsite/ferry reservations cancellations must be sent via email to the trip leader. Cancellations received before May 1, 2019 will be refunded the registration fee, less $10, if and only if the space can be filled. Otherwise, the full fee will be forfeited. -Kayak registration cancellations must be sent via email to the trip leader. Cancellations received before May 1, 2019 will be refunded the registration fee, less $35, if and only if the space can be filled. Otherwise, the full fee will be forfeited. -Cancellations received after May 1, 2019 will forfeit the full registration fee. In all cases, no refunds will be issued until after the scheduled trip.